Happy 18th Birthday, Animal Crossing! On this day 18 years ago, on 14 April 2001, the Animal Crossing series debuted in Japan. As Nintendo fans will know, the Animal Crossing games typically take place in towns of talking animals. As new residents, players are free to do whatever they wish – like bonding with neighbors, fishing, and more. This casual gameplay was a huge departure from Nintendo’s usual repertoire, and quickly became popular with fans worldwide. Interestingly, the first Animal Crossing title never actually made it to the English-speaking world. Dōbutsu no Mori (‘Animal Forest’) first launched for the Nintendo 64 system in Japan – and nowhere else. It wouldn’t be until 2002 that Dōbutsu no Mori+ for the GameCube finally migrated to North America as the first Animal Crossing that longtime fans remember. From there, the series has had its share of hills and valleys. 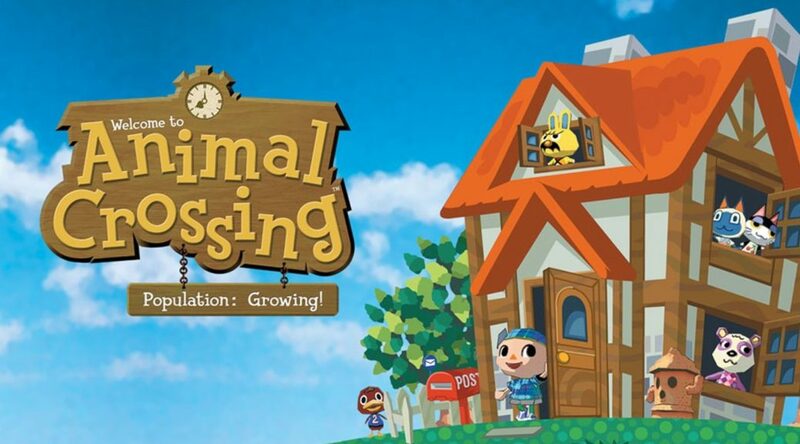 The handheld sequel Animal Crossing: Wild World would go on to sell gangbusters on the Nintendo DS – moving around 11.75 million units to date. Likewise, Animal Crossing: New Leaf for Nintendo 3DS swept the world by storm and achieved about 11.94 millions sales to date. The experimental Animal Crossing: amiibo Festival for Wii U would go on to disappoint fans in 2015, however. Animal Crossing was also one of the first Nintendo properties to enter the mobile realm – with Animal Crossing: Pocket Camp hitting smart devices in 2017. While the series has remained quiet since then, Nintendo has already teased a new entry heading to Nintendo Switch in 2019! So, it shouldn’t be long until the Animal Crossing series adds a new chapter to it’s storied history. In the meantime – what are your thoughts on the Animal Crossing series? Are you excited for its future, or already love its current library? Let us know with your comments below!